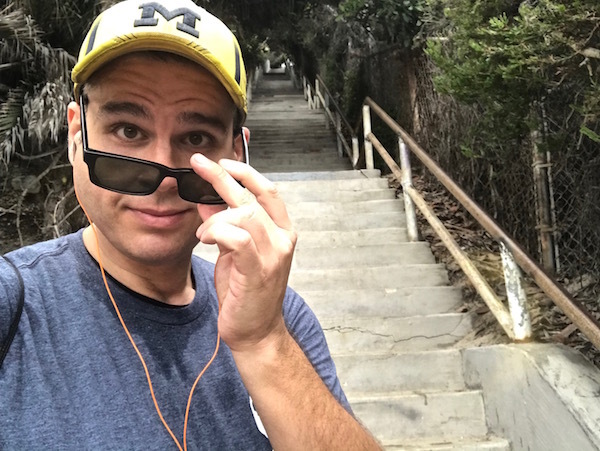 June | 2018 | Keep It Up, David! The other day I was working from home, sitting in my living room, my laptop on my lap. I was updating a spreadsheet when the quiet was punctured by a sudden, horrific crash. There was a violent clanging of medal, and a heavy thud, and then it was quiet again. 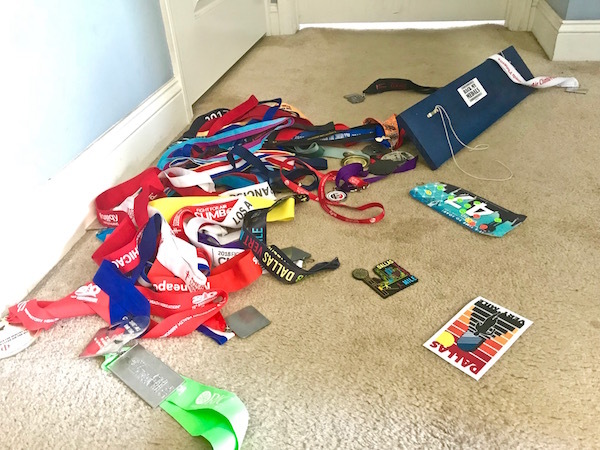 It only took a second to realize that my rack of race medals had fallen off the wall. What’s this? 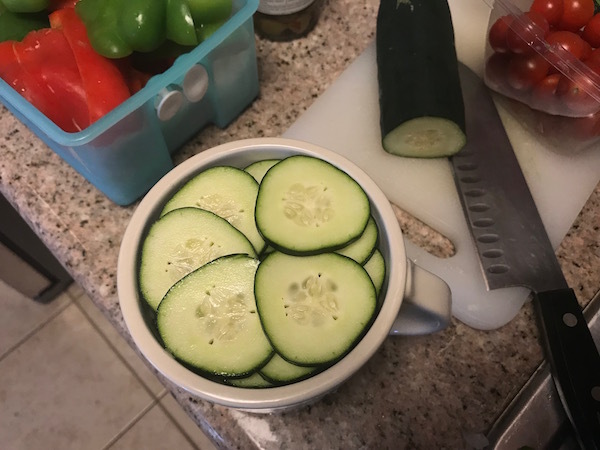 A mug full of cucumber? Mark Your Calendars and Come See Me Speak in Michigan! BIG ANNOUNCEMENT: I’ve been invited to speak about weight loss and fitness in Michigan and you can come! Mark your calendar for Thursday, July 12th… and keep reading for details! 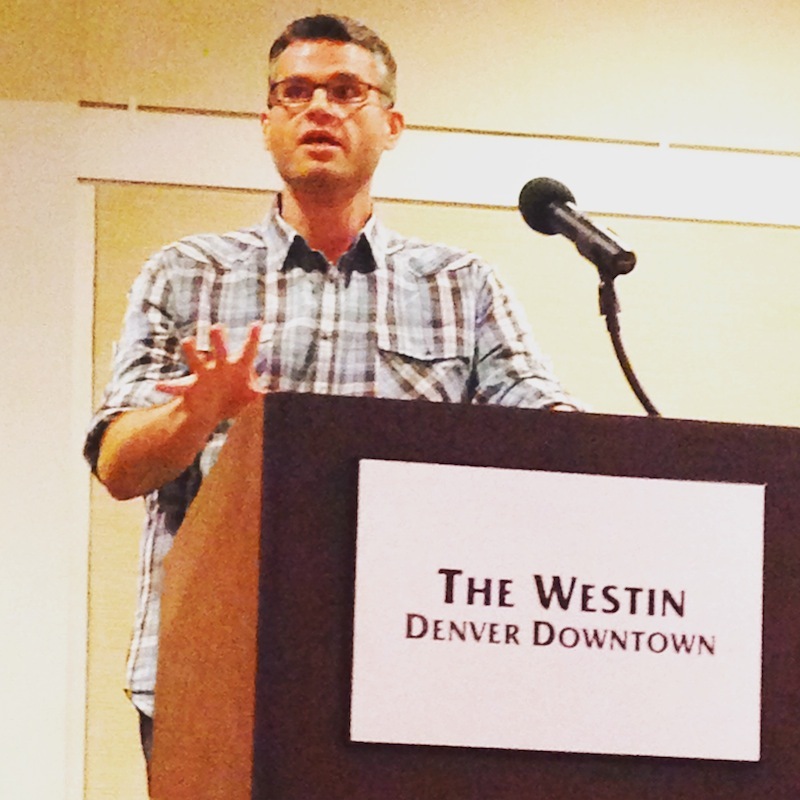 Speaking at the Fitbloggin’ Conference in Denver a few years ago. 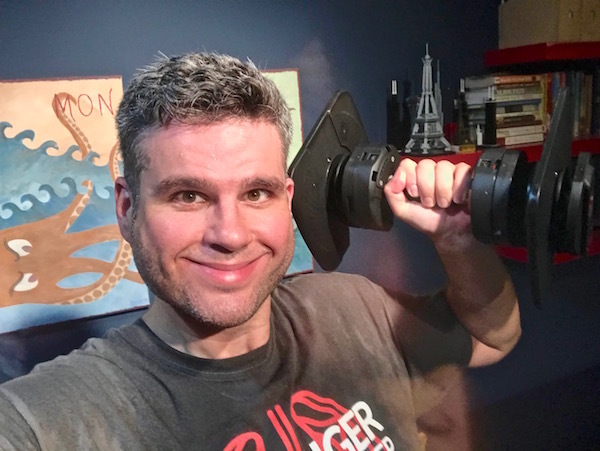 I can’t believe it’s been almost two months since I started my much-needed exercise break. Although I didn’t know what to expect when I started it, I had some vague thoughts that by now I’d be back at full capacity. And I’m not. Ultimately, I’m fine with that. I’m staying active, and my thinking has evolved. I Have a Steak Recipe For You… And It’s Vegan. Yes, Vegan! A few months ago, multiple people in a Facebook group I’m in all posted pictures of their cabbage steaks. 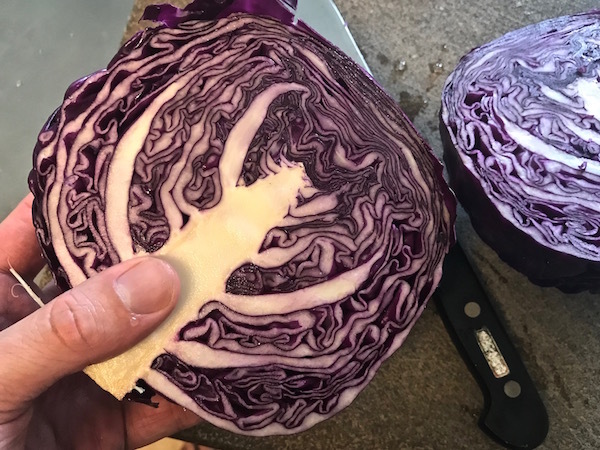 Cabbage Steaks? I was as intrigued at that moment as you are right now! You are currently browsing the Keep It Up, David! blog archives for June, 2018.